A logo and name with movement. 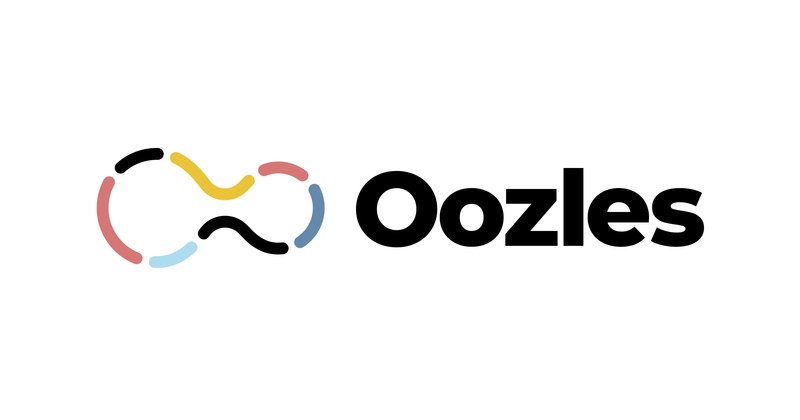 I bought the domain oozles.com with the intention of using it for quick blog-posts that I didn't want to attach to my design work. I didn't stay devoted to it but here's the site logo. 1: I intended to use the blog for almost anything that came to mind, and wanted to convey a sense of those many potential purposes — so the icon mark takes a bit of its shape from the infinity symbol. 2: I wanted to emphasize the "ooh" sound in the word, because that's a good sound — and the larger circular shape on the left followed by the smaller circular shape on the right is intended to reflectlo the "Oo" in "Oozles"
3: Oozles is a flowy word — it makes me think of the Teenage Mutant Ninja Turtles and noodles simultaneously. So the outline was broken into swoopy little noodle-y chunks.